OK, this was taken by my grandfather, Al Bowles, Sr., mere feet from the camel. It depicts my dad, Al Bowles, Jr., and my mom, Jeannie Bowles, way back in 1947. Mom was pregnant with my older brother, Al III (R.I.P.) 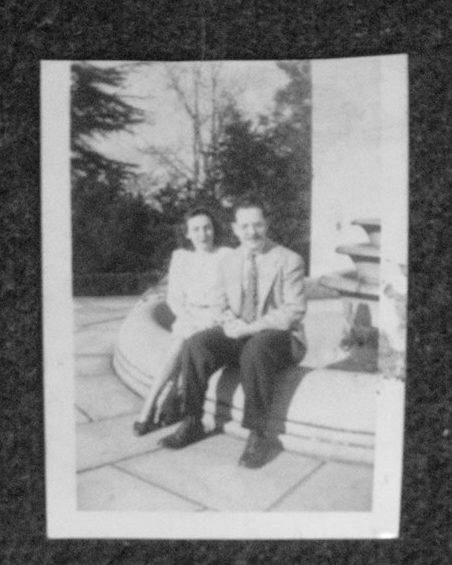 They are shown sitting by one of the little pools in front of the museum. I’m sorry they’re not on the camel; but this would be one of the oldest photos in your gallery, so I hope you can include it. I was born in Seattle, but raised in Yakima. I didn’t get to see the museum in person, until 1975. Since then, I’ve been to Volunteer Park hundreds of times, and to the museum, many times.